The North Country Moose Festival – This is a fun annual event and a good reason to visit the beautiful North Country of New Hampshire and neighboring Vermont. 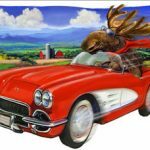 North Country Moose Festival activities include an art show, moose parade, street fair, hot air balloon rides, auto show, music, moose calling contest, and much more. Fun for all, a NHLiving.com recommended event for all ages. Held late August every year in Colebrook, and Pittsburg, NH and nearby Canaan, Vermont. 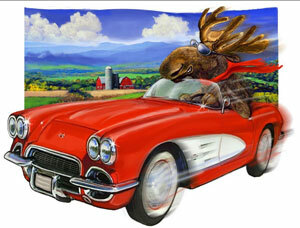 Ask about visiting the north country or share your Moose Festival reviews and comments.